There are many reasons to entrust your construction management company to take care of your permits. McKee Construction Co. near Orlando knows this and that is why we make sure to take care of all construction permits for our clients ourselves. Your general contractor can take care of all the difficult parts of your permits for you so that you can focus on what’s important: the end result of your project. If you would like to learn more about how we can help you with your next commercial construction project, contact us at McKee Construction Co. today. Permits are a part of your construction project and there is no way to finish it without getting the right permits in place. That is why it is so important to make sure that you take the time to get them completed. However, many people do not have the time to take care of this themselves as they are usually taking care of a number of things related to the commercial project. That is where your general contractor comes into play. They are the ones that can go through all the bureaucratic hoops to get you the permits that you need so that you can your project completed on time. 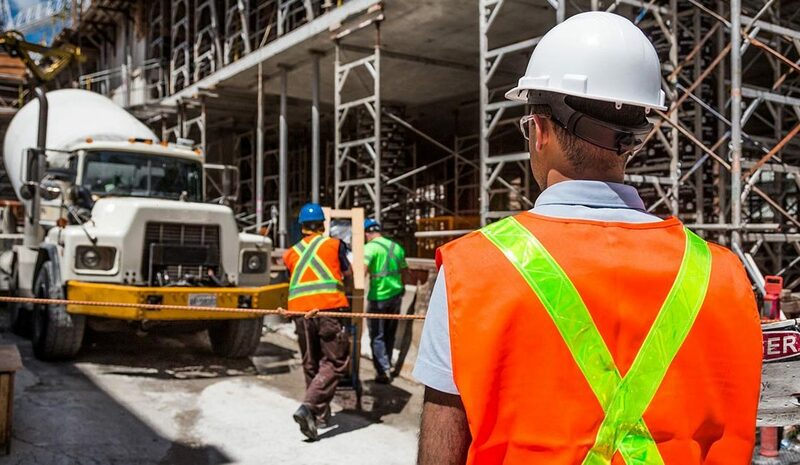 Letting your construction management company also allows you to step away from taking the bulk of the responsibility if something goes wrong. If there is something that goes wrong with the actual construction process and the city or a neighbor files a complaint against your project, it will be on your construction company for not following the permit guidelines. The other advantage to having your construction company in charge is that you will be able to control the timeline of your project more effectively. This is because the contractor is going to act as your leeway between you and the government. Because they have done this so many times in the past, they are going to have connections to make the process go by more smoothly. Looking for a Construction Management Company? If you are looking for a general contractor to help you with your commercial construction, we at McKee Construction Co. can be your resource. We know how important your commercial construction project is to you so we have all the tools to help you. We can provide you with the right permits so that you do not have to worry about them. If you have any further questions about our services or you would like to learn more about our permits, contact us at McKee Construction Co. today. McKee Construction Co. is a commercial construction company located near Orlando. We have worked with a variety of different projects in the past and we know the number of different permits that are necessary to get a project going. That is why we are here to help. If you would like to begin work with us or you have any other questions, contact us at McKee Construction Co. today. Join Us On March 22, 2019 For Our Open House! We Have Moved In. Visit The New Mckee Construction Co. Office! McKee Construction Co. Will be Moving in This Month! The New McKee Office Headquarters in Sanford is Almost Complete!